After raiding various addresses in the northwestern English city, police arrested two men aged 25 and 19, bringing the number now detained on UK soil to 13. Salman Abedi injured more than 100 people when he detonated his explosive at Manchester Arena venue. Manchester, United Kingdom: Police launched fresh raids and arrested two more people Sunday in connection with the Manchester bombing, as thousands defied the terror threat to take part in the city's annual half marathon. Six days after 22-year-old Salman Abedi launched his attack on a pop concert, killing 22 people, a British minister said that members of the suicide bomber's network could still be on the run. Asked by the BBC if some of Abedi's network were still at large, British Home Secretary Amber Rudd said: "Potentially." "The operation is still really at full-tilt in a way and so until the operation is complete we can't be entirely sure that it's closed." Manchester-born Abedi, of Libyan origin, injured more than 100 people when he detonated his explosive as concertgoers left a show by US teen idol Ariana Grande. A third of those killed were children. Authorities in Libya have detained Abedi's brother and father, while British investigators appealed to the public late Saturday for details of the bomber's movements in the days before the attack, which has been claimed by the ISIS. 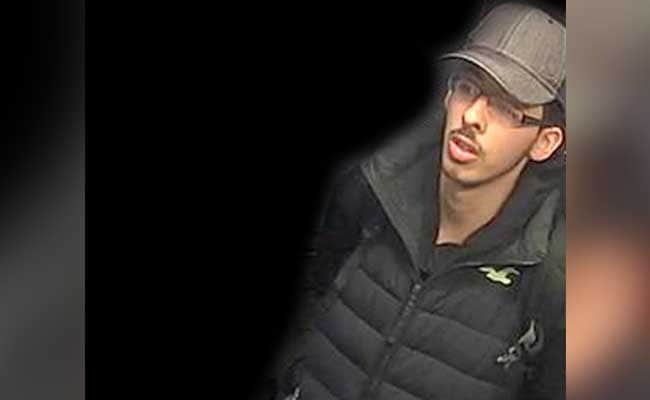 Police released photographs from security cameras showing Abedi on the night of the massacre, wearing jeans and trainers, a black bodywarmer and a baseball cap, with the straps of his backpack visible on his shoulders. Security was highly-visible as 40,000 runners took to Manchester's streets for the Great Manchester Run a day after Prime Minister Theresa May lowered the terror threat level, which had been hiked after Monday's carnage. Competitors gathered at the start line and fell silent as the clocks struck 9:00 am (0800 GMT). This was followed by sustained applause as the song "Don't Look Back In Anger" by Manchester band Oasis was played over the tannoy, sparking a sing-a-long. "After everything that's happened in Manchester, to get everyone to come together, stand united, don't let them win, that's why I'm doing it," runner Ian McLellan, 45, told AFP. British counter-terror chief Mark Rowley said Friday that police had captured "a large part of the network" linked to the bombing. Investigators say they have a 1,000-strong team working "around the clock" on the probe and have significant details on Abedi's associates and movements, his finances, and how the explosive was built. Britain on Saturday reduced its terror threat level from critical -- its highest level -- to severe. "We should be clear about what this means: A threat level of severe means an attack is highly likely, the country should remain vigilant," Prime Minister May said. May has seen her polling lead against the Labour party's Jeremy Corbyn dwindle as campaigning restarted ahead of a June 8 general election, with her rival accusing her of overseeing a cut in police staff while she was interior minister. From 2009 to 2016, the number of police officers fell by almost 20,000, or around 14 percent, according to the independent Institute for Fiscal Studies think tank. Authorities are currently handling 500 terror-related investigations into 3,000 individuals, with another 20,000 people on the radar posing a "residual risk". May attempted to hit back late Saturday, announcing the new "Commission for Countering Extremism" and saying that "enough is enough -- we need to be stronger and more resolute in standing up to these people". The commission will have a legal responsibility to identify extremism and will advise the government about what policies and laws to enact in order to defeat extremists. The family of Georgina Bethany Callander, an 18-year-old killed in the bombing, released a tribute late Saturday in which they called on the government to "open its eyes" to prevent further tragedy. "I wish I could say that Georgina is one of the last to die in this way but unless our government opens its eyes we know we are only another in a long line of parents on a list that continues to grow," said the family in a statement. The "We Love Manchester Emergency Fund", launched by the city council and the British Red Cross, had reached &#163;5.65 million by Sunday. The bombing was the latest in a series of IS-claimed attacks in Europe that have coincided with a US-led offensive against the jihadist group in Syria and Iraq.